I needed a large purse - not a tote bag, but a nice large purse. I shopped around on Etsy and decided to go with tippythai. 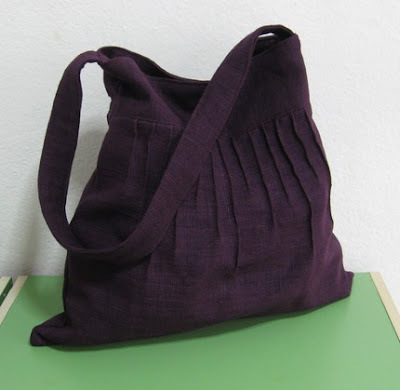 I really like this style of bag, so that's what I went with - but I got it in this wonderful deep purple colour: I really like the fabric and colour - I can't wait to get it!